Get your scare on this weekend! Here are our top ten Netflix horror picks. The much anticipated season cross over is finally happening! Murder House & Coven are going to be joining forces for the upcoming season of American Horror Story, Apocalypse. Get yourself ready by refreshing your memory on what the hell happened in Season 1 (Hello, Dylan McDermott! ), and reminding yourself what that Supreme thing was all about again in Season 3? Ghoul is the second original Netflix show released in India, and has English dubs (originally Hindi). It’s a suspenseful few episodes as we explore the ins and outs of an Indian prison whereby the Arab folklore monster, Ghoul, starts to make an appearance. It’s definitely frightening, and an interesting glimpse into Indian television. Everyone knows that Psycho is one of the biggest horror films of all time, but if you haven’t already, watch Bates Motel. Bates Motel is the prequel, in tv show format, to Norman Bates final showdown in Psycho. 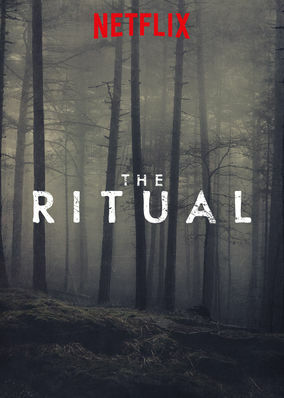 Less of a horror than its inspirational movie, it is a psychological horror drama that keeps you on the edge of your seat through all of the seasons. Nominated for 3 Emmy Awards and many others, you’re in for a treat if you haven’t binged this whole show already! If you couldn’t get enough of Vera Farmiga in Bates Motel, you can get a little bit more watching the Conjuring. The Conjuring is based on the lives of a real-life couple and paranormal investigators, Ed and Lorraine Warren, who also inspired movies such as Amityville Horror. The Conjuring is the first of several movies – including Conjuring 2, Annabelle, Annabelle: Creations and newly released The Nun, which is out in cinemas this weekend. Dead Set is an English comedy horror movie, set in the Big Brother house in London. A zombie attack takes over London while Big Brother contestants are still remaining in the sealed off house. Starring the actual British ex-Big Brother presenter, Davina McCall, this comedic horror is both highly terrifying and funny. Train to Busan is one of the most beautiful Korean horror movies. It captures the struggle of a father, trying to save his daughter as a zombie attack rips through the country. They jump on the final train to Busan – apparently the only safe destination in Korea left, and horror ensues. According to Empire Magazine, “One of the best horrors of the year (2016)” and according to us, a heart wrenching thought-provoking horror with believable actors, emotions and fear factor. After the violent death of one of their friendship group, the remaining four friends decide to do a group trip into the Swedish wilderness, doing a long hike in their late friend's honour. The further they hike into the forest, the more lost they becom - ending up having to spend the night at one of the creepiest looking wooden shaks in the middle of nowhere. All sorts of strange things happen overnight, and without giving anything away, we can guarantee that this film is odd, definitly freaking and has a couple of frights built in. A kind-hearted, animal-loving, vegetarian-since-birth freshman joins her 'rebel' sister at Veterinary School. The first week is a whirlwind of events for Justine, just like any freshman. 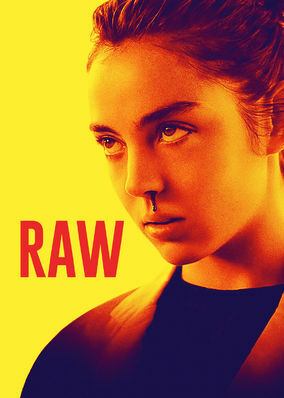 But when a peculiar annual hazing routine (involving eating raw meat) triggers a rather poor bodily reaction from her, something even more peculiar happens and suddenly, all she wants to eat is meat.....and raw meat at that. In a small town, several people who were presumed dead for years suddenly start returning to life, without any awareness of their deaths. As they slowly reunite with their very shocked families, gruesome murders start to take place to shake this small town. 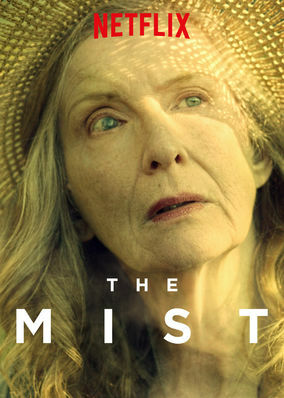 Frances Conroy (Ruth) from Six Feet Under stars in this mystical horror TV series based off of Stephen King's novel, Mist. When a heavy fog takes over a small town, terror begins to take hold as people start to disappear into the mist. Residents are stuck in malls, churches and hospitals where they are desperately trying to reconnect with their families on the outside, running around in the unknown. It's not the best adaptation of the book, but it certainly is compelling enough to binge watch over the weekend!